"If you have the dosh, don't bother looking elsewhere." That was the verdict of Jane Knight, deputy travel editor of The Times newspaper. 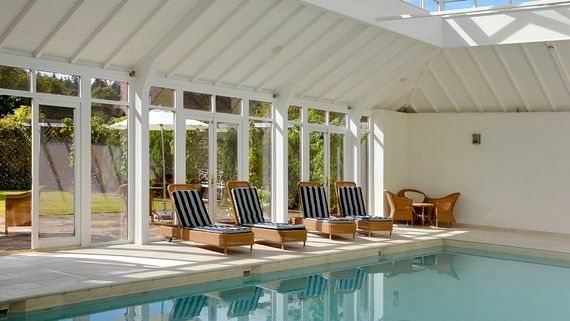 Greeted by elegant interiors, access to an indoor, heated pool and champagne on arrival (selected stays), most guests would find it very difficult to disagree. 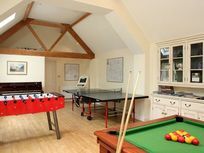 In fact, taking into account the brilliant kids facilities, BFB would wager that more than a few families would consider moving in for life! 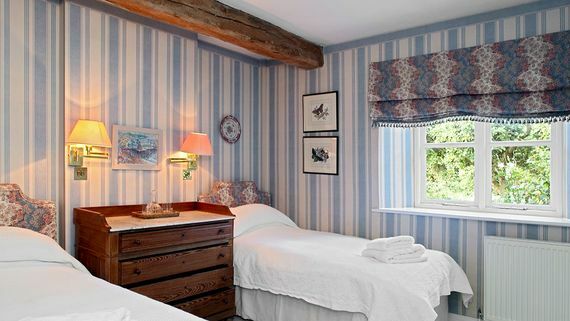 Converted from the Victorian stableyard and outbuildings of Bruern Abbey, this pretty cluster of 12 cottages sleep from 2 to 10 and are stylish, luxurious and well-equipped, country houses in miniature with the added benefits of an indoor pool, treatment rooms, fantastic facilities for mini guests and optional housekeeping and chef service on request (must be pre-booked). Modern comforts like seriously powerful showers, underfloor heating and state-of-the-art kitchens blend with elegant antiques, pretty fabrics, four poster or tester beds, and open-fires (guards provided). Fans of Osborne & Little, Sanderson and Nina Campbell will be in heaven! Outside, the beautifully landscaped grounds hide communal gardens, a croquet lawn and a heated indoor pool with fitness suite and treatment rooms. Mini guests and their parents are exceptionally well catered for with a raft of nursery equipment, toys and books provided in the cottages, plus a walled garden complete with elegant two-storey 'wendy house' (be warned, some may want to move in for good! 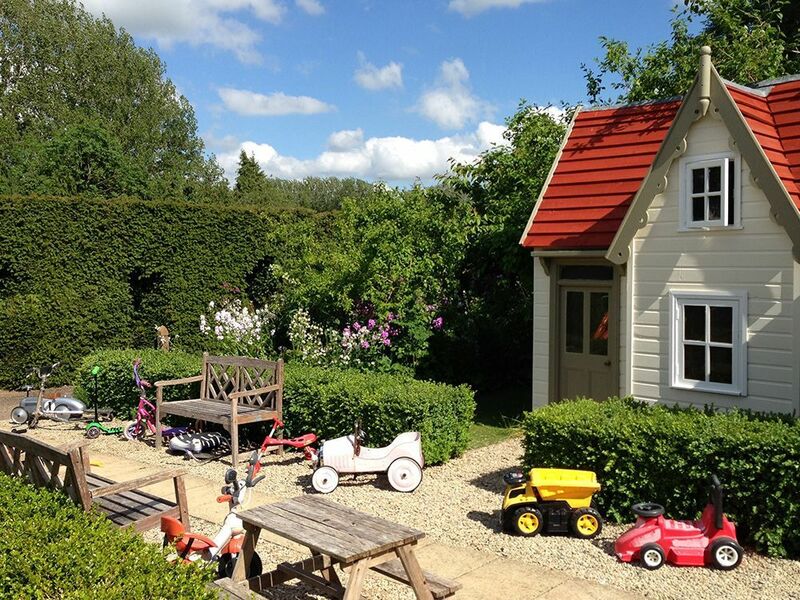 ), heated play cabin with dressing up gear, more toys and arts materials. 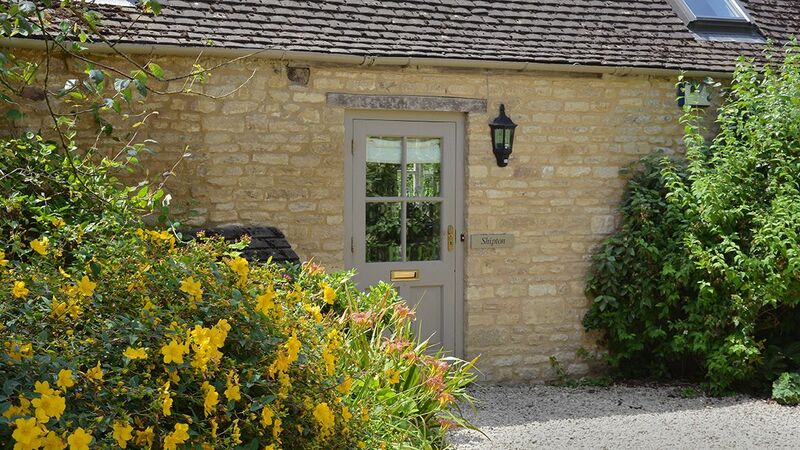 Formerly a long, low traditional Cotswolds stone barn, Shipton is now a luxurious 3-bedroom cottage that is particularly well-suited to toddlers, since it is single-storey with no pesky stairs for little legs to deal with. It boasts it own car park adjacent to the entrance and a lovely bright open-plan living space with lounge, kitchen and dining room all overlooking the estate's pretty apple orchard's through the elegant french doors. 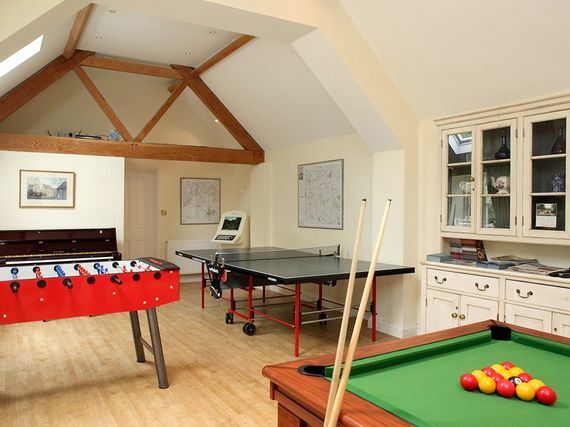 The elegant interiors are a clever mix of classic and contemporary with natural flooring in wood and stone, a high pitched ceiling with original wooden beams and a bright, neutral colour scheme. 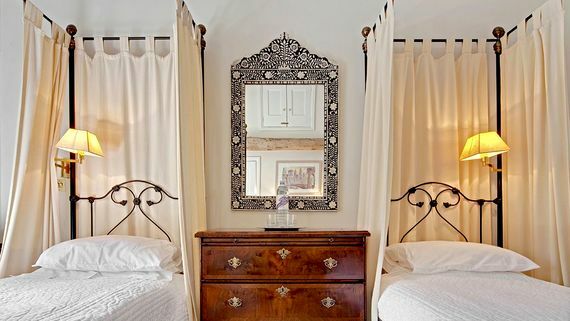 A corridor off the kitchen leads to the two twin-bedded rooms. 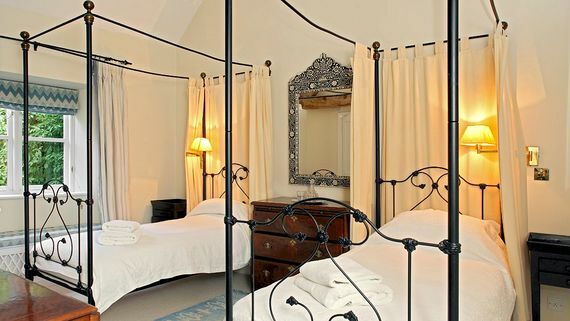 The first has beautifully upholstered head boards and an elegant marble-lined shower room, whilst the second has two single four-poster beds - perfect for little princes or princesses - plus its own marble-lined ensuite shower room. 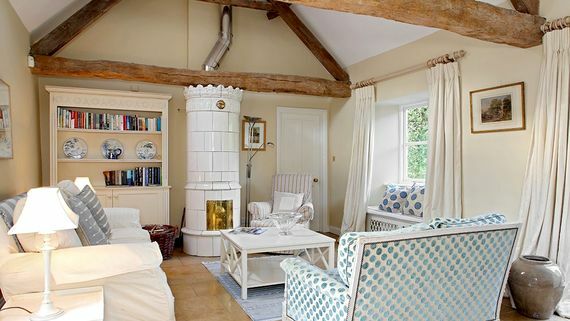 At the other end of the drawing room, with its stunning Scandinavian log burner, is the double bedroom, which boasts its own impressive French metal four-poster and ensuite with bath and power shower over it. Doors from both the master bedroom and drawing room into an enclosed and private garden (with private children play area at the back shared with bookers cottage) and a terrace with furniture and a BBQ. 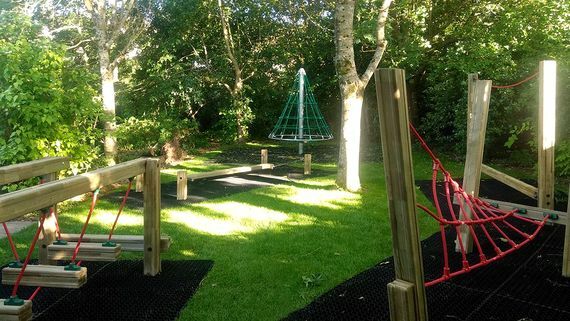 It's an ideal spot for children to play, alfresco dining in the summer months or a relaxing glass of wine once the little ones are safely tucked up in bed. 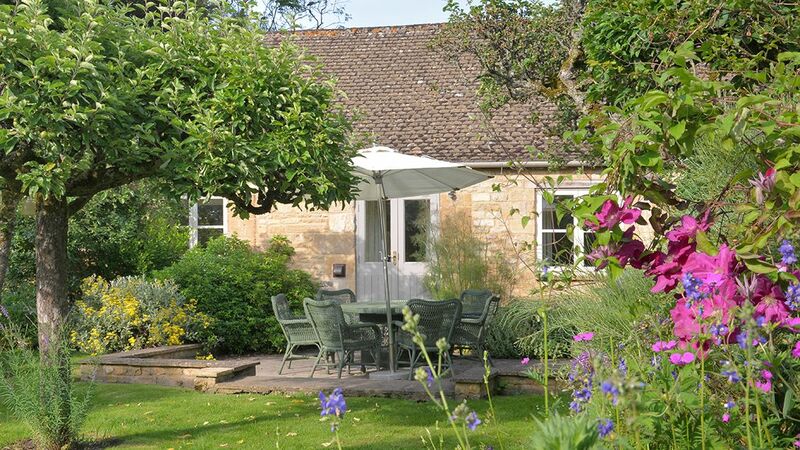 Set in the heart of an Area of Outstanding Natural Beauty, Bruern is a hamlet all to itself and the stunning views, tranquility and facilities including treatment rooms, an indoor heated pool, play cabin and chef service on request means guests often find it hard to tear themselves away. However, the area is rich in history and home to some of the UK's prettiest towns and villages, many of which boast excellent pubs, restaurants and boutiques. In fact, nearby Cheltenham could rival London's King's Road for fashion, antiques, delis and little bistros. 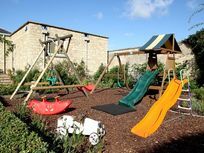 For eating out, the bar menu at the Lamb Inn in Burford is great value with excellent home-made meals using local produce for both kids and adults. 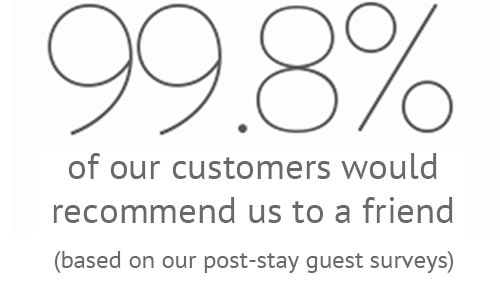 The upstairs restaurant is recommended for a child-free night out, although the Old Butchers in Stow on the Wold gets the very best reviews. 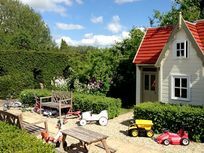 For family-friendly daytime eating, stocking up on organic goodies, boutique shopping and the UK's best day spa, according to Conde Nast Traveller Readers (2008) don't miss a trip to Daylesford Organics. The cafe's outdoor terrace is lovely on a sunny day. 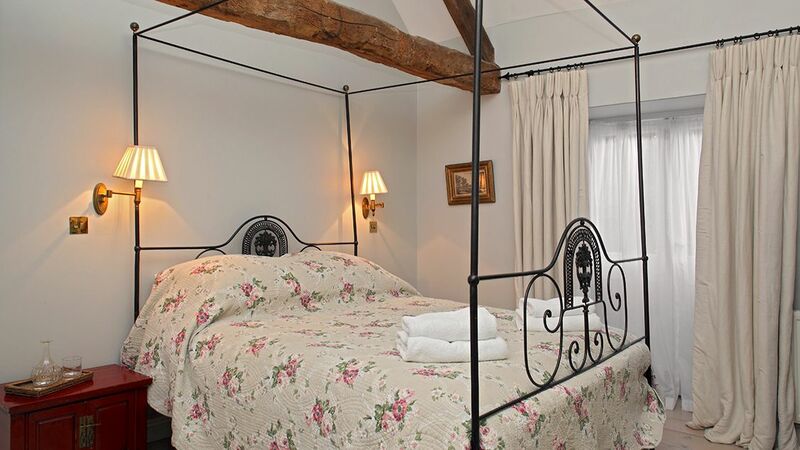 One double bedroom and two twin bedrooms, all with ensuite bathrooms. There is room for either two additional camp beds for children, or two cots for infants, or for one of each. Heathrow airport is approx.1.5 hours drive away. The cottages are within walking distance of local pubs/villages however as these walks are through the countryside they aren't the most buggy friendly. Families may find it easier to hop in the car. 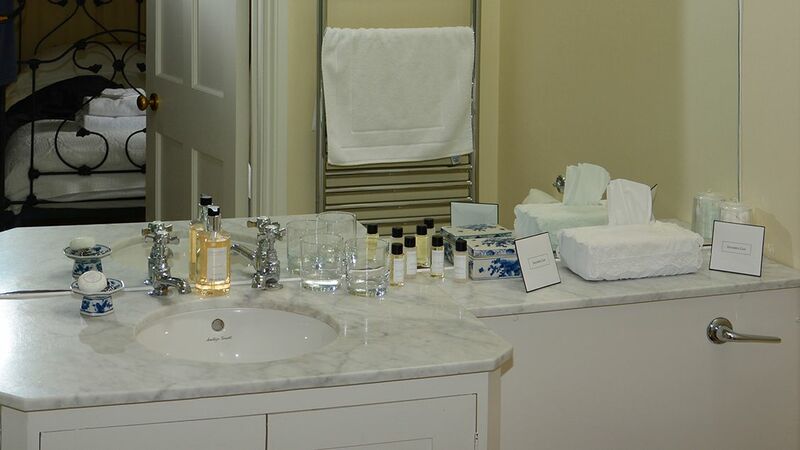 The site has onsite treatments rooms and beauty therapists so certain treatments can be pre-arranged to enjoy during guests stay. 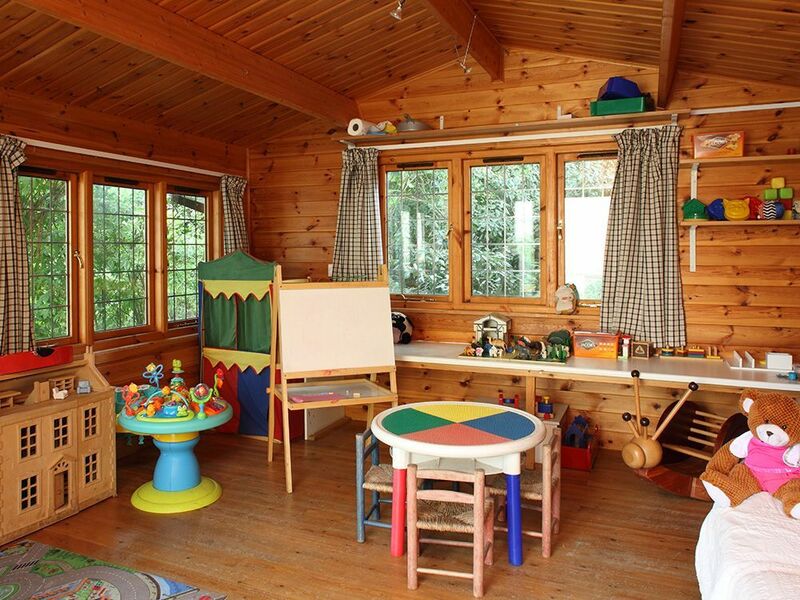 The communal play cabin is home to dressing up gear, lots of soft toys and art materials. 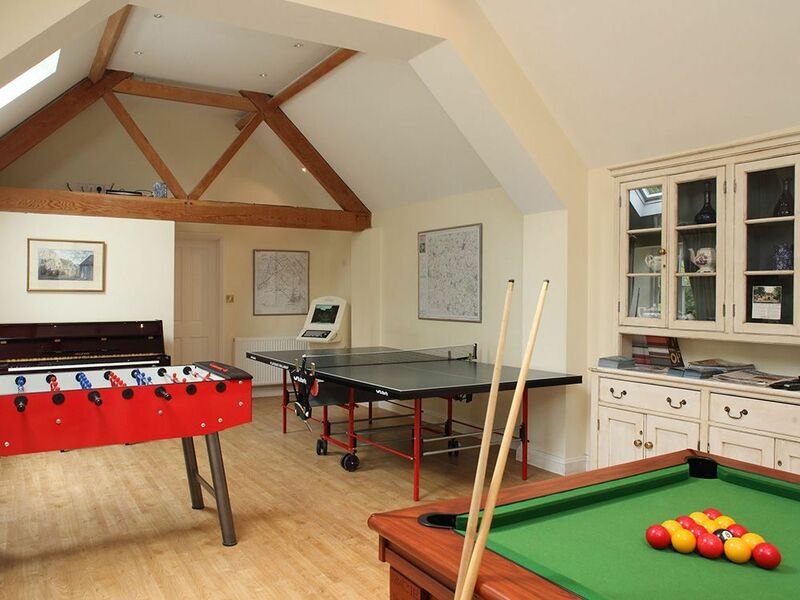 Plus its heated and with a comfy sofa so adults can relax whilst kids play. 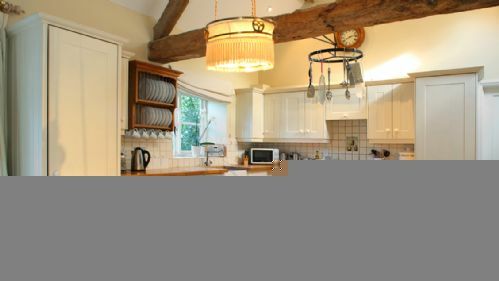 Bruern can help arrange a private chef or catering service on request at additional cost. This must be pre-arranged. Daytime and evening babysitters are available on request, please book ahead. As well as good quality cots and highchairs, a fantastic 'Parents Peace of Mind' kit is provided including baby monitors, plug covers, door wedges, bed guards, cupboard locks, stairgates and plastic crockery and cutlery. Each cottage has a small selection of toys/games plus children can find more to keep them entertained in shared the play cabin and games room. Each cottage comes with a generous welcome pack. 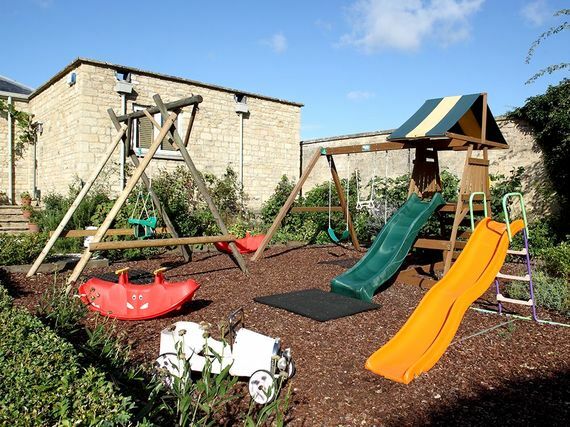 The cottage shares a play area with bookers cottage plus there is a further outdoor play area next to the communal lawn , play cabin and wendy house. 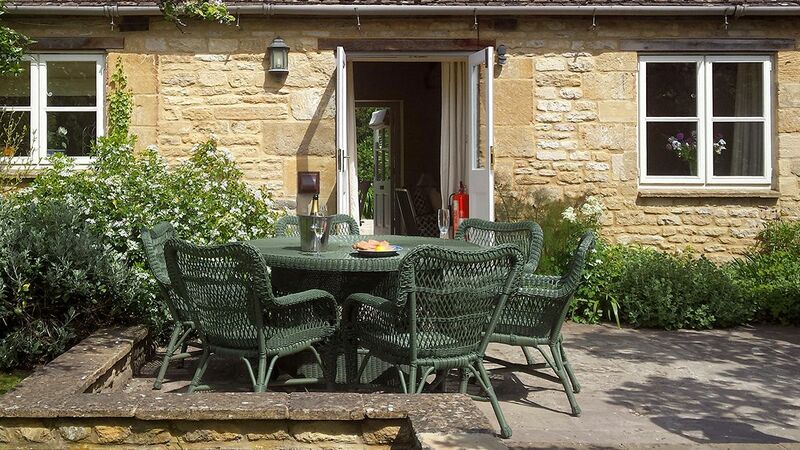 The cottage has abig orchard garden, with apple trees, lawn and borders: garden furniture, umbrella and barbeque. 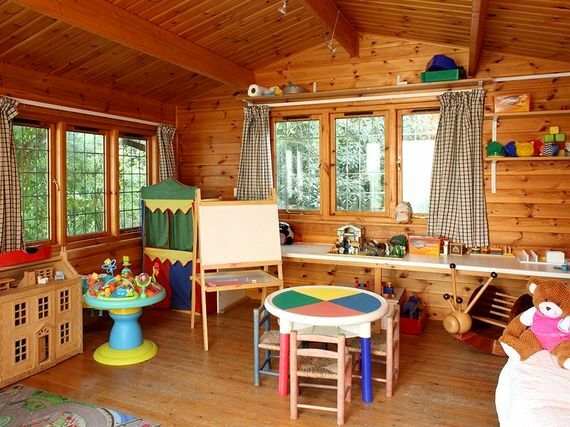 It shares a childrens play corner with Bookers cottage. 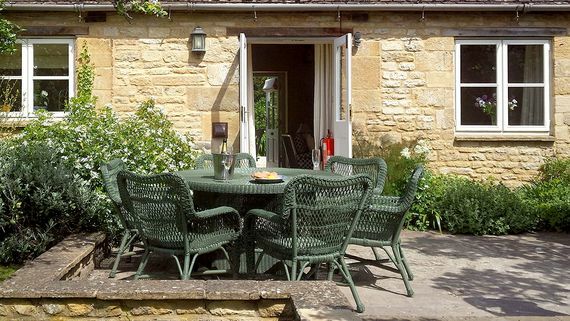 This cottage accepts dogs - a deposit of £250 is taken and refunded after your stay. There is a well equipped onsite gym. Daily/additional cleaning can be arranged on request at additional cost. 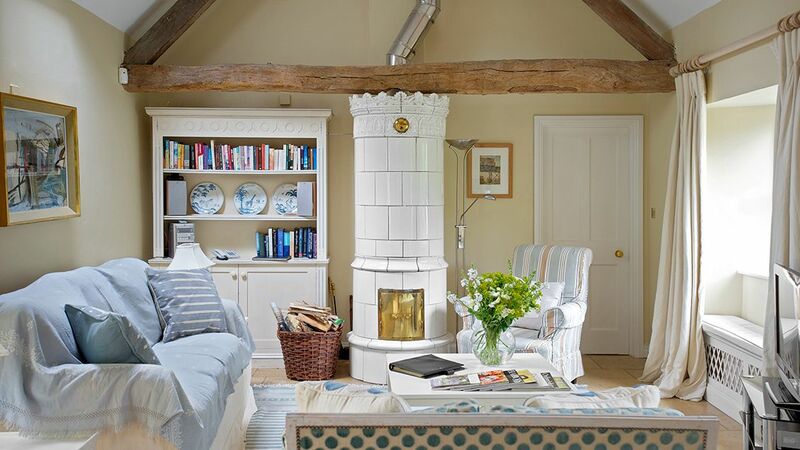 The cottage has a ;arge, glamorous Gustavian style ceramic wood burning stove.